With heartfelt sorrow, the Graham family announces Gilbert Leopoldo Graham’s passing to be with his Lord and Savior Jesus Christ. 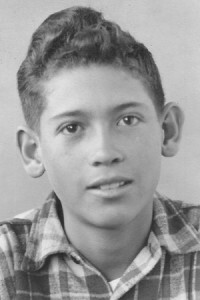 He was born in Taos, New Mexico, to Victor and Isbelita Graham. 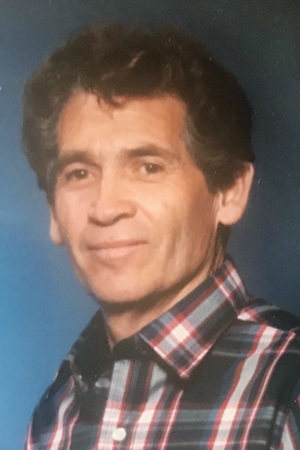 Gilbert leaves behind his loving wife Dorothy of 63 years and the five children he was blessed with: two sons Gilbert Marv Jr., and Victor; and three daughters Alice (Jesse) Holguin, Joyce (Louie) Valerio, and Debra (Mike) Maestas. He grew up with five siblings: Chris Graham, Loren Lucero, Eva Rodriguez, Gertrude Aragon and Arturo (Bertha) Graham. Gilbert was also blessed with 10 grandchildren, 18 great-grandchildren and four great-great grandchildren, along with many relatives and friends. He was employed at the Tooele Army Depot for many years and retired in 1984. Preceded in death by his parents; siblings Chris, Loren and Eva; son Victor; and grandson Shylock Martinez. Gilbert touched the hearts of many people during his lifetime and will always be remembered. He leaves behind a legacy of love, kindness and respect to all who knew him. Funeral services will be held at St. Marguerite Catholic Church, 15 S. 7th St., Tooele, on Nov. 3 at 11:30 a.m. Anyone wishing to convey their condolences may do so one hour prior to the service. Burial will be at the Tooele City Cemetery following the funeral mass.